EXCLUSIVE: The former EPA deputy chief of staff spoke exclusively to ABC News. A whistleblower from the Environmental Protection Agency says that Administrator Scott Pruitt was "bold-faced" lying when he told members of Congress that no EPA employees were retaliated against for raising concerns about his spending decisions. In an exclusive interview with ABC News' Kyra Phillips, former deputy chief of staff Kevin Chmielewski said he was "100 percent" forced out after raising concerns about Pruitt's spending on first-class travel. Chmielewski said chief of staff Ryan Jackson called him into his office and said: "Hey — Administrator Pruitt either wants me to fire you or put you in an office so that he doesn't have to see you again,” Chmielewski told ABC News adding that "And in addition to that, he wants to put Millan (Hupp) in your spot, as your title and your pay grade." "I think Ryan Jackson, the chief of staff, is a very honorable guy. I think he's just in a weird situation," Chmielewski said. "Because he was — he was the biggest advocate about doing the right thing. We would talk about it all the time." He said his security team decided that he should fly first class, not coach. ABC News has reached out to Jackson and Hupp for comment. The EPA declined to comment in response to questions about Chmielewski’s allegations against Pruitt and his staff. ABC News obtained a personnel form filled out by an EPA HR officials that says he resigned on March 17. (Pete Marovich/The New York Times via Redux) Scott Pruitt, administrator of the Environmental Protection Agency, testifies before the House Interior, Environment and Related Agencies Appropriations subcommittee on Capitol Hill in Washington, April 26, 2018. Chmielewski said he had previously raised concerns about things like Pruitt's first-class flights and a request to spend $100,000 a month on a private jet, even meeting with the presidential personnel office about what he called lavish spending at the EPA. He said no one would look into his concerns further. "They didn't wanna touch it with a ten-foot pole. Understandably. I mean, at this point I'm going up against a cabinet secretary. Who wants to do that? I sure didn't want to, and still don't want to. But that's apparently where I'm at now," he said. The Trump campaign veteran says he believes he started being pushed out after he refused to sign off on first-class flights for one of Pruitt's aides. Chmielewski said there was no reason for that person to fly first class. "I refused to do it. And, once again, I think that was some of the beginning of the retaliation, and why you know, cause I said absolutely not. And I kinda got in trouble behind closed doors for not signing that. Just Kevin, "Sign it. You know, be done with it." And the last thing I was doing was signing off on that," he said. Chmielewski said that when a manager told him Pruitt wanted him fired he said that he also wanted to place one of his aides, Hupp, into the deputy chief of staff job. Hupp was one of the aides that was granted a controversial raise that Pruitt said he reversed and that he didn't know the specific amount. Chmielewski said the raise was "100 percent Pruitt." Months after he first raised concerns, Chmielewski said he returned from a trip to Japan with the vice president and was immediately told to surrender his parking pass. He said that after he declined, the head of Pruitt's security detail Nino Perrotta called him multiple times threatening to come to his house and physically take his pass, even though Chmielewski said that would be trespassing. He said he was ultimately told to resign or he would be fired but he still refused to resign. Perrotta told ABC News in an interview on Tuesday that he did not threaten Chmielewski. When asked about Chmielewski's situation Pruitt said last week during congressional testimony that the former deputy chief of staff resigned, but Chmielewski says that he was fired and that the agency has been trying to discredit him. When asked about reports that the agency pushed out employees that raised concerns about his spending, Pruitt told lawmakers last week that there was "no truth" to the reports and that the agency will work to protect whistleblowers. 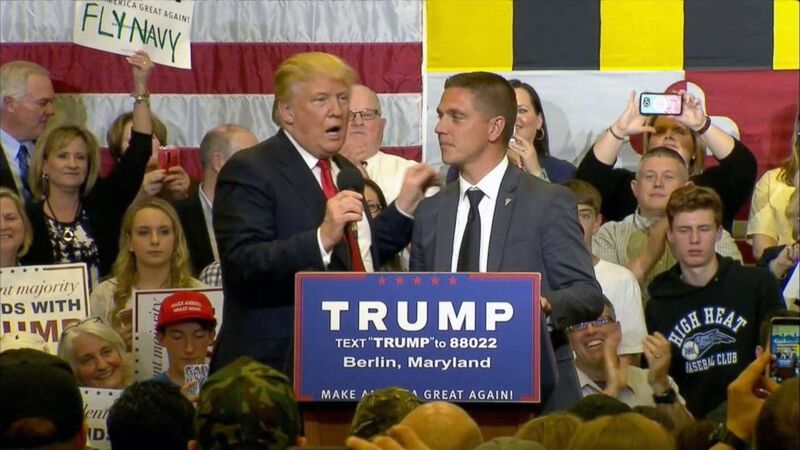 (ABC) Presidential candidate Donald Trump invites Kevin Chmielewski on stage during a campaign rally in Berlin, Md., April 2017. 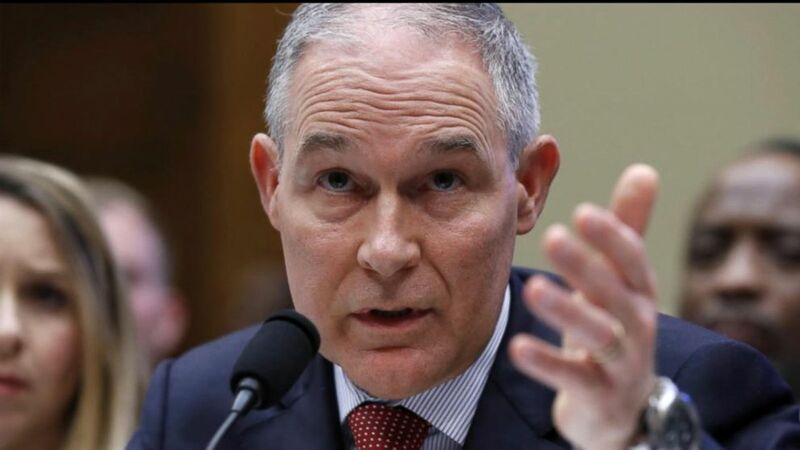 "I just want to emphasize very very clearly to you that there's no actions that we have taken that I'm aware of related in any way to the issues you raise as far as reassignment or employment action based upon that," Pruitt told lawmakers. 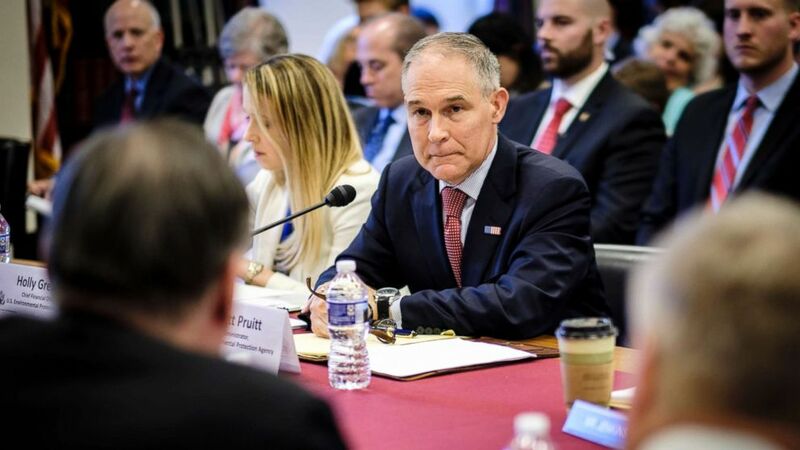 The New York Times first reported that Chmielewski and four other EPA employees were reassigned or removed from their positions for raising concerns about Pruitt's spending. Chmielewski met with members of Congress and staffers earlier this month. “I have nothing to hide as it relates to how I've run the agency for the past 16 months,” Pruitt said during his remarks before a House subcommittee last week. The EPA's internal watchdog is looking into multiple questions about Pruitt's decisions since taking over at the EPA, including the allegations of retaliation against employees, his spending on travel and security, and his living arrangement. ABC News also reported that Pruitt’s daughter was staying in the condo for an extended period of time as she was completing a White House internship, without permission, according to his former landlord. Chmielewski said that he was involved in planning the phone booth and that Pruitt knew it would cost more than $40,000. "He knew what was going on, and what the ideas were," he said, though Chmielewski said he didn't personally see Pruitt sign anything authorizing the expense. Pruitt said last week that he asked his staff for a way to answer secure calls but did not directly ask for the $43,000 "secure phone booth." 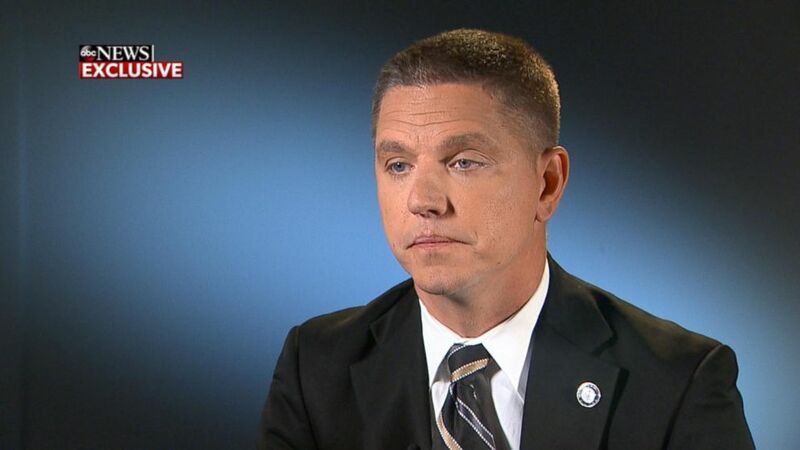 (ABC News) Kevin Chmielewski talks with ABC News, April 30, 2018. Chmielewski also said that he isn't criticizing the administrator because he disagrees with his political agenda. Chmielewski worked on President Donald Trump's campaign said he is still loyal to Trump and Vice President Mike Pence. He said he thinks the president doesn't have the full story when it comes to Pruitt. "I'm a pretty credible source. No one in this world can say that I'm not a Republican and no one in this world can say that I'm not the biggest fan of the president or the vice president," he said. "I would still go through a brick wall for the guy today, either one of them." Former EPA deputy chief of staff Kevin Chmielewski tells ABC in an exclusive interview that Administrator Scott Pruitt knew the "secure phone booth" for his office would cost more than $40,000. Editor's note: This story has been updated to include Perrotta's response.